Arsenal took control of their UEFA Champions League qualifier against FC Twente with a 2-0 win in Holland. Arsene Wenger was forced to field a youthful side with many key players missing through injury, and the midfield duo of Aaron Ramsey and Denilson struggled in the first half. Twente looked bright but squandered a glorious opportunity when Marko Arnautovic was thwarted by Manuel Almunia just before the break. The Gunners were much improved in the second half and broke the deadlock on 63 minutes when William Gallas scrambled home Robin Van Persie's free-kick. Emmanuel Adebayor grabbed the second from Theo Walcott's pass in the 82nd minute to leave Arsenal in a dominant position ahead of the second leg at Emirates Stadium. The weather settled ahead of kick-off following earlier torrential rain, giving almost perfect conditions for what promised to be a fascinating tactical battle between Wenger and Steve McClaren, whose reign as England boss ended under an umbrella on a wet November night at Wembley. It was a bright start by the Dutchmen, with Roman Denneboom heading wide at the far post following a deep cross from the left. Arsenal - who have played in the Champions League proper for more than a decade - slowly began to find their rhythm, but were unable to break down Twente. The Dutch continued to look dangerous on the counter-attack with some slick passing moves. After 18 minutes, Eljero Elia almost got on the end of a pass into the left side of the Arsenal area, but keeper Almunia slid out to make a brave block. Denneboom should have done better when, in the 25th minute, he weaved his way into the penalty area - only to fire a shot high over the crossbar. As the half-hour mark approached, Arsenal continued to be pushed back with Ramsey, aiming to fill the void left by an injured Cesc Fabregas, and Denilson, the Brazilian youngster, not able to get hold of the ball in midfield. When the young Welshman was set up with a shooting chance following a free-kick, his effort from 25 yards flew wide. 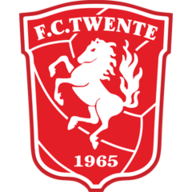 FC Twente wasted another golden chance when Arnautovic dashed clear only to lose control on the edge of the area, which allowed Almunia to make the save. Arsenal's real first decent opening came in the 38th minute. Goalkeeper Sander Boschker could only parry a fierce 25-yard drive from Gael Clichy, which fell to full-back Bacary Sagna in the six-yard box - but his snap shot was just off target. There seemed more urgency about Arsenal following the restart, with Robin van Persie having his shot charged down on the edge of the Twente penalty area. Twente, though, were soon back in the ascendancy, playing with a confidence and flair which McClaren's England side had so often lacked. 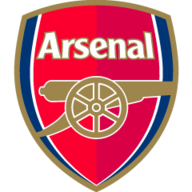 However, Arsenal snatched a crucial away goal in the 63rd minute, after Emmanuel Eboue was adjudged to have been fouled on the right - much to the disbelief of McClaren. Van Persie's free-kick floated through to the six-yard box, where Gallas bundled the ball in to the net with his knees. To their credit, Twente continued to press, and Arnautovic pushed his shot wide from an acute angle after being put in on the left side of the penalty area. Arsenal, however, remained patient as the tempo of the match dropped heading into the closing 10 minutes. The victory - and surely a place in the Champions League group stages - when Walcott dashed into the right side of the Twente area before finding Adebayor, who rolled his shot under Boschker.